This summer we've seen plenty of shoulder, but there's a new uncovered trend to keep in mind for the coming months: back-baring tops. Okay, so maybe it's not exactly what Sir Mix-a-Lot meant when he wrote the song "Baby Got Back," but we love the idea of showing a little skin in an unexpected way. There's something special about knowing that while your look may seem standard from the front, everyone will stop and stare when you walk away. (How's that for making a statement?) So what's the ideal amount of back to show when you're shopping the trend? The answer is that it's all up to you. Some tops and dresses show off the entire spine, while others offer just a small peek. So no matter what you're comfortable with, you can take part in this pretty trend. Have we convinced you yet? 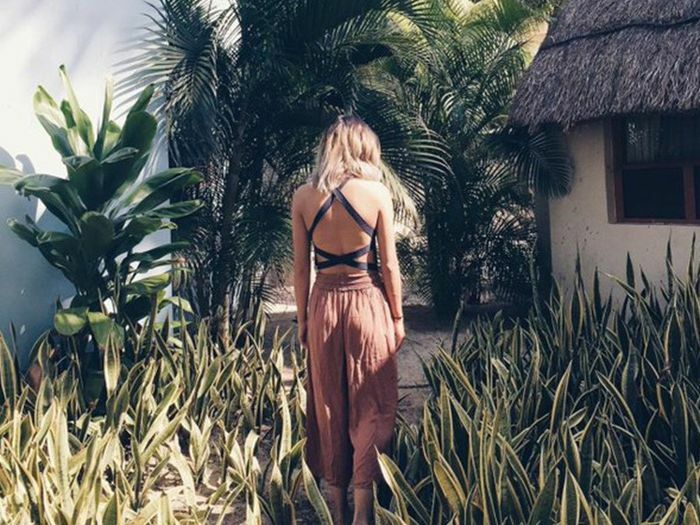 Read on to shop our favorite backless pieces and jump on the trend now! A flowy tank perfect for a night on the town. This architectural piece feels totally unique. An LBD that makes a statement. To make this top office-appropriate, add a coordinated top underneath. This long-sleeve top feels just polished enough. Take your summer style up a notch with this bold dress. We love the pop of color offered by this open-back top. Show off your back in this pretty and unique dress. Dress this black dress up with a simple pair of pumps, or opt for sandals if you're keeping things casual. A little ruffle, a lot of fun. An infusion of red sets this top apart. 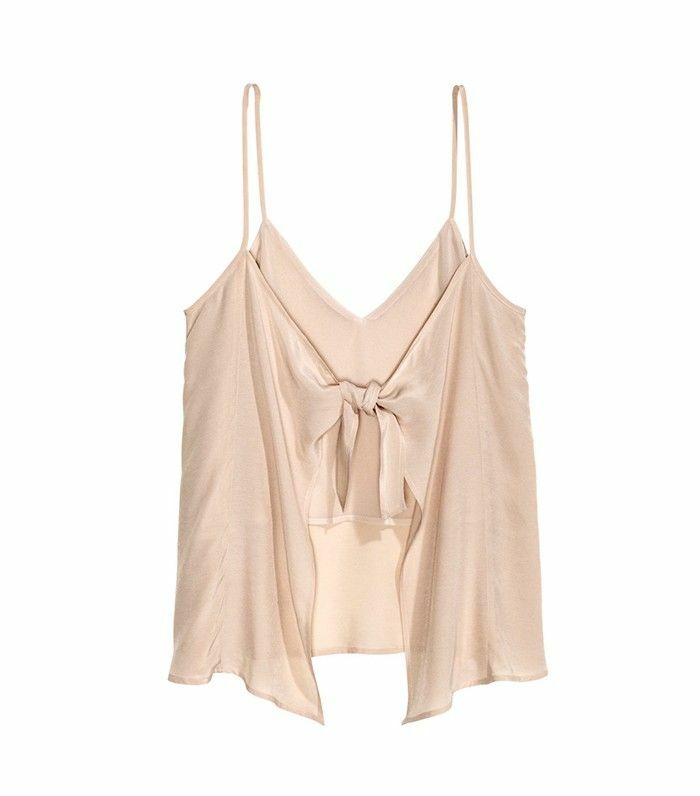 This pretty top is perfect for summer. If you're not afraid to show major skin, this is the top for you. A floaty dress that's just asking to be worn to a summer picnic. Fancy sleeves are the ultimate finishing touch. Curious about more of the season's big trends? Here are a few of fall's most accessible trends!